Microgrid market segments and multiple revenue streams from ISO services to electricity bill managements. A grid-connected business use case for microgrid in Commercial and Industrial (C&I) sites. The main challenge in this business case is unreliable power with frequent interruptions. An off-grid business use case in the mining industry, which suffers from carbon emissions from on-site diesel generations. In this business case, renewable and storage technologies present an ideal opportunity to reduce energy costs while improving power quality. An Island utility use case for microgrids having fluctuating crane loads. Energy storage improve the power quality while avoiding the load shedding and extra wear and tear on generators. 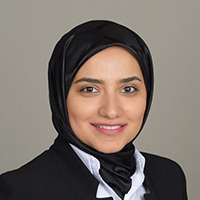 Dr. Hamideh Bitaraf is the Microgrid Advisor at ABB in Sugar land, TX. She provides techno-economic analysis for clients interested in investing in Microgrid solutions. The Microgrid analysis includes market research, feasibility studies providing econometric metrics, and power system evaluations. She has served as a Graduate Research Assistant in the smart grid lab at Virginia Tech Advanced Research Institute, Arlington, VA, from 2012 to 2016. She has obtained her Ph.D. in the Department of Electrical and Computer Engineering from Virginia Tech, VA, USA, in 2016. She has the expertise in microgrids, energy storage, demand response, data analytics, optimization, and signal processing. She has been an active member of IEEE PES and a reviewer of IEEE Transactions journals. ABB offers expert consultancy on determining the technical and commercial feasibility of microgrid projects and then ensuring the most stable and economical microgrid. Visit our website to learn more: https://new.abb.com/distributed-energy-microgrids. © Copyright 2019 ABB. All rights reserved.